You know those movies that never get old no matter how many times you’ve watched them? Think about it: how many times have you seen your favorite film? Ten times? Twenty? 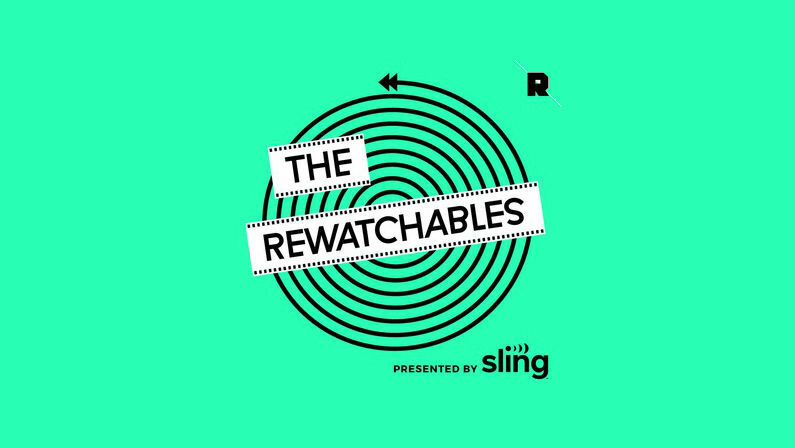 For those films that never get old, Sling TV is presenting The Rewatchables, a new series based on the hit podcast. Fill up a bucket of popcorn and get your pajama pants on, because it’s time to dust off and rewatch your favorite films. The Rewatchables was launched as a podcast in 2015 by sportswriter Bill Simmons and is featured on Simmons’ sports and pop culture site The Ringer. The podcast features Simmons alongside rotating celebrity guests as they rewatch timeless films both classic and contemporary and discuss the elements that make them stand up to repeated viewings. The podcast initially started out with sports-themed films like Blue Chips, White Men Can’t Jump, and Moneyball, but has since branched out into other generes and includes episodes centered on films like Mad Max: Fury Road, Jurassic Park, and The Big Lebowski. Who could ever get tired of hearing podcast hosts talk about The Big Lebowski? This week, streaming television giant Sling TV announced that a new The Rewatchables video series is coming to Sling TV alongside streaming versions of the films reviewed in each episode. The new The Rewatchables series will appear in the “MyTV” section of the Sling TV app, as well the films featured in each episode so you can rewatch ahead. With the addition of The Rewatchables and other exclusive and original content and features, Sling TV is proving itself to be not only a formidable cable replacement, but also an innovator that stands out in the overcrowded streaming market. Can Sling TV rise above the other cable cutting competition?